If you answered YES to any of the above, we recommend you read on…. Versatility of Product and over 40 years of experience have produced the perfect solution for Boiler Access. By looking at the access requirements of the Off-shore industry and Power Generation boiler maintenance we have developed a world-class solution tailored to an individual client’s needs and requirements. 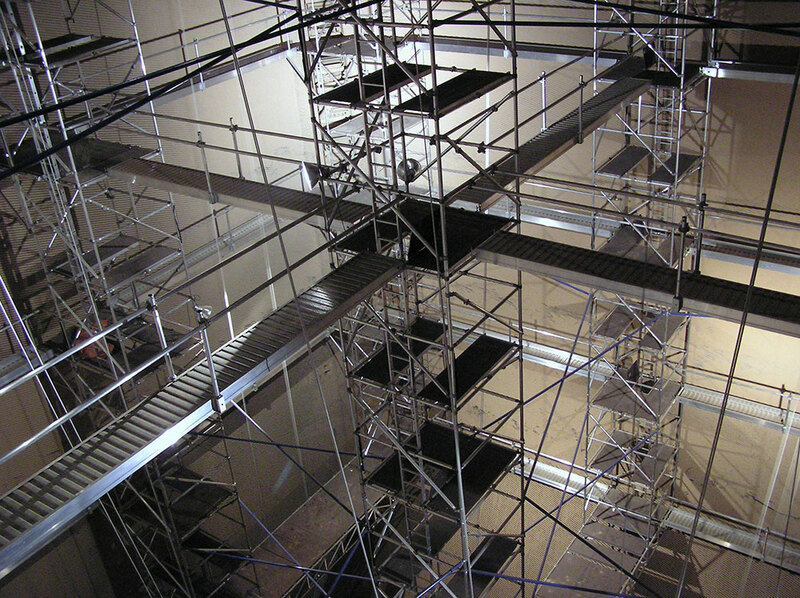 With our quality of design and manufacturing, our boiler access scaffolding system offers more than traditional scaffolding, saving both labour and downtime. 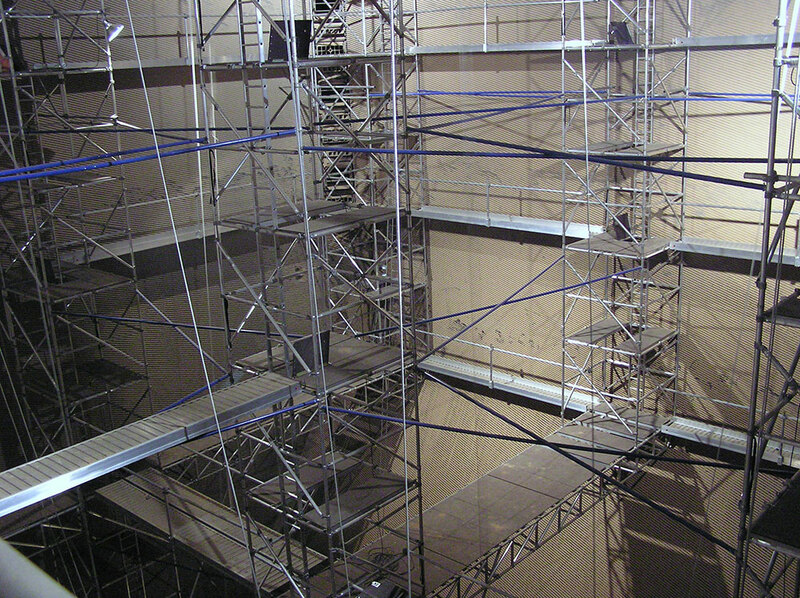 The quick-erect Boiler Access Scaffolding System is erected using a combination of two Instant Upright basic components, Snap Out and Spandeck. 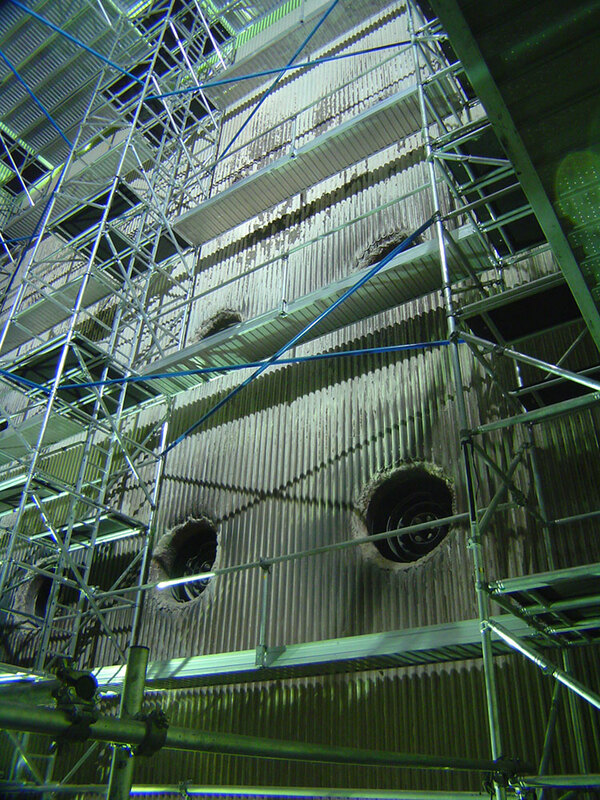 Snap-Out offers an unbeatable solution to access within enclosed or restricted access areas, such as the inside of a power station boiler where it can be difficult and time consuming to enter with regular scaffold frames. Snap-Out sections are compact & light to handle weighing approx. 40kgs. 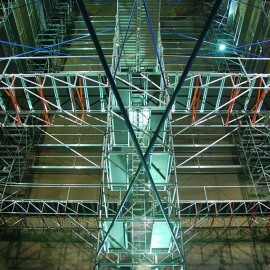 A complete ‘level’ of scaffold folds neatly into an easily managed bundle that will pass through an aperture of 36cms. 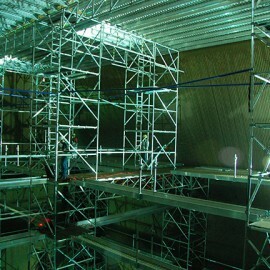 Once it is in the work location, the bundle unfolds to form a complete scaffold. 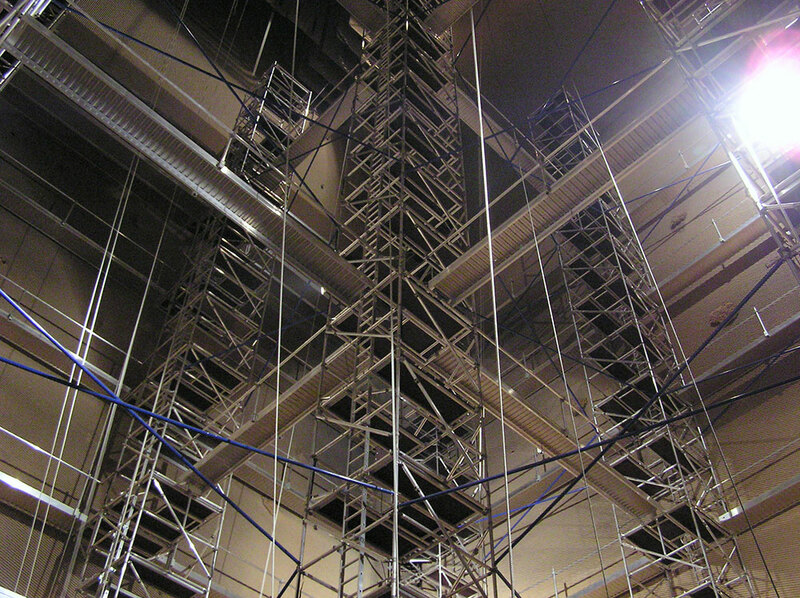 Once inside the boiler the Snap-Out units can be instantly erected within seconds to provide a complete level of scaffold, 2m cube modules which interlock positively together to provide the main tower structures. There are no loose parts and no tools, nuts or bolts are required for assembly. 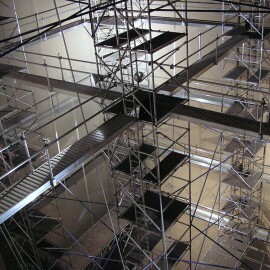 This unique folding system with no loose components prevents loss and incorrect assembly, only the platform, ladder and toe boards need to be added. The base structure is designed to sit firmly inside the V hopper providing a rigid foundation for the complete upper structure. 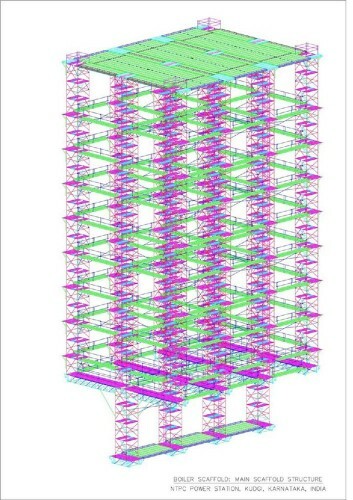 Further levels are handled in exactly the same manner, building a tower to the height required which can be up to 100 metres. 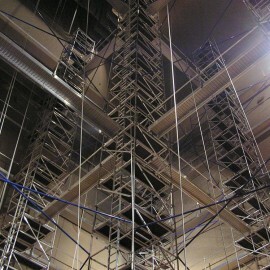 This unique folding system with no loose components prevents loss and incorrect assembly. Instant Spandeck is a lightweight aluminium walkway and decking system spanning up to 9m and providing a safe work platform between Snap-out towers. Its unique reversible design and double sided hooks allow it to be used individually as a catwalk, or side by side. Safe Accessibility – for all maintenance and inspection personnel anywhere within the boiler! 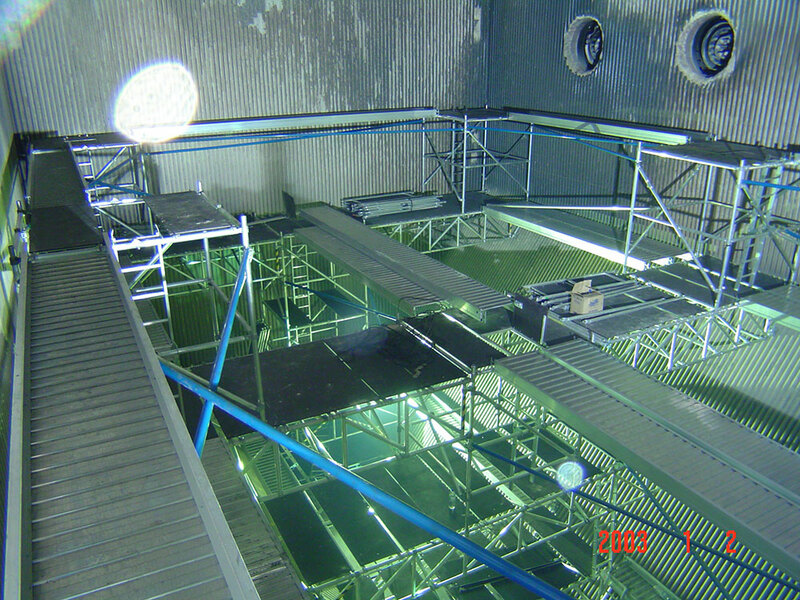 Lightweight Spandeck can be fitted at whatever level required – below the Superheater area and additional the vertical towers can give access into the Superheater Platens. 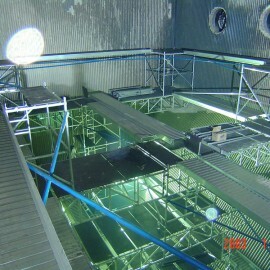 Guardrails are fitted at all outer edges of the scaffold. Speed of erection – a crew of 6 erectors & 6 labourers can erect a boiler system in 24-48 hours, depending on the size of the boiler and dismantling takes just one day. In addition, after removal from the boiler no special cleaning is required and storage is easy and compact. 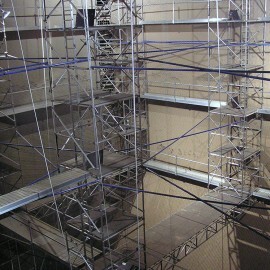 Greater Profitability – our Boiler Access Scaffolding System offers substantial savings in downtime for Power plants. Most Instant UpRight Boilers scaffolds have paid back the original cost of the system within the first two years and can save you up to $25m over the lifetime of the boiler again depending on its size. 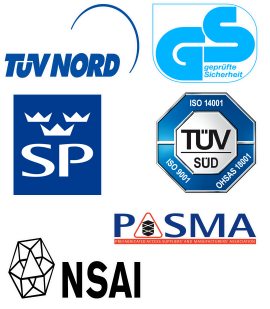 A Safety factor of 4 applies to structure design, and unlike steel systems, a standard 5-year warranty period applies. All springs, pins, bolts & miscellaneous hardware are tested & guaranteed as part of the complete boiler system. 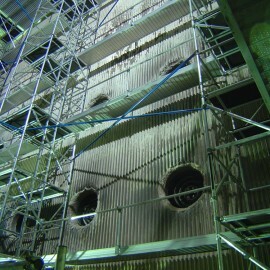 With our boiler access scaffolding system a third of the boiler downtime can be saved per overhaul, in comparison with steel scaffold systems – just 6 days. 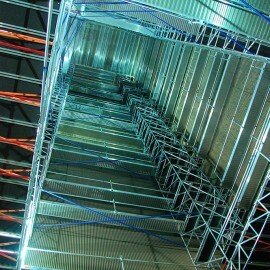 And that’s not all, our team of design engineers are at your disposable from design through to installation. They work with you to provide full site surveys, on-site training and technical guidance throughout the project. 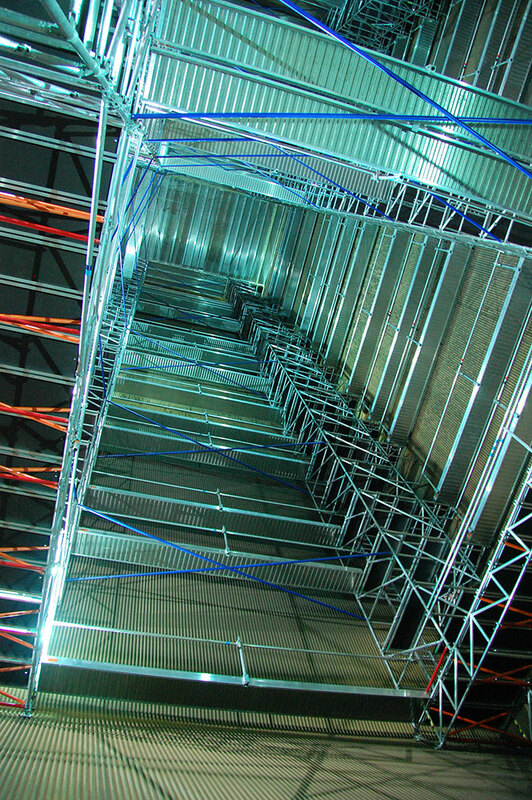 As pioneers of the first ever alloy tower in 1947, our design engineers are the most experienced in their field and have perfected the Instant access tower systems providing safe, efficient and innovative access solutions for the power generation industry. In use in power plants worldwide, the system is designed with a minimum safety factor of 4 and complies with International safety standards. Downtime costs, when measured on a fixed cost basis are generally 2 cents per unit. The potential saving when using the Quick Erect Boiler System is US$240,000 per day or over US$1.4 million savings per overhaul (based on a 500 Mega Watt Boiler). If downtime costs are measured on the basis of lost revenue, a rate of 5 cents per unit normally applies. In this case, the potential saving when using the Quick Erect Boiler System is US$600,000 per day or a US$3.6 million savings per overhaul (based on a 500 Mega Watt Boiler). A crew of 6 erectors & 6 labourers can erect a boiler system in 24-48 hours, depending on the size of the boiler and dismantling takes just one day. In addition, after removal from the boiler no special cleaning is required and storage is easy and compact. Payback time: The original cost of the system can be paid back within the first two years of installation (depending upon its size) and can save up to $25m over the lifetime of the boiler. 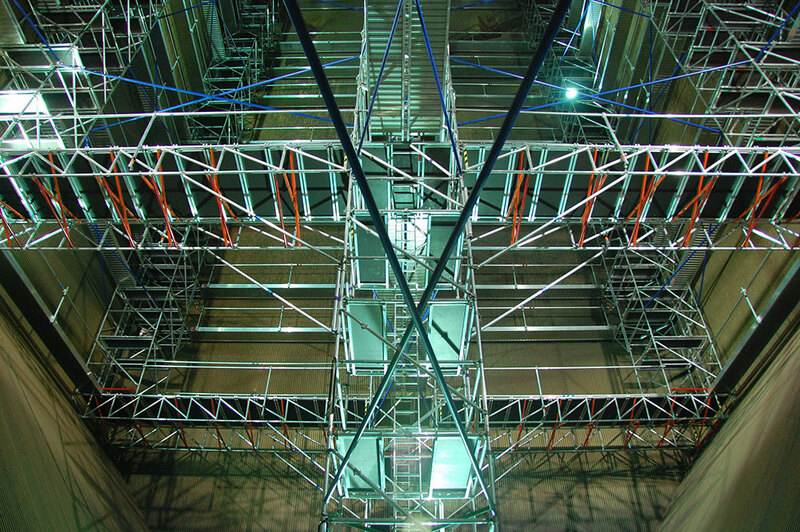 Our boiler access scaffolding system system is a product that has justifiably achieved recognition by power generation companies’ and has been supplied to approx. 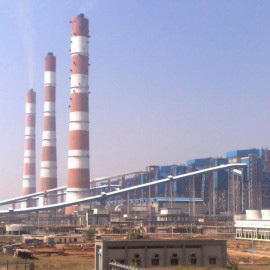 80 Power stations worldwide including Korea, Taiwan, China, Germany, Italy, Hungary, Philippines, India, Malaysia and Australia. 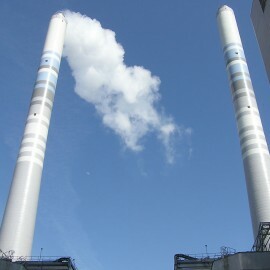 Our first 500 Mega Watt system supplied to Korea in 1988 is still in full usage with no deterioration. 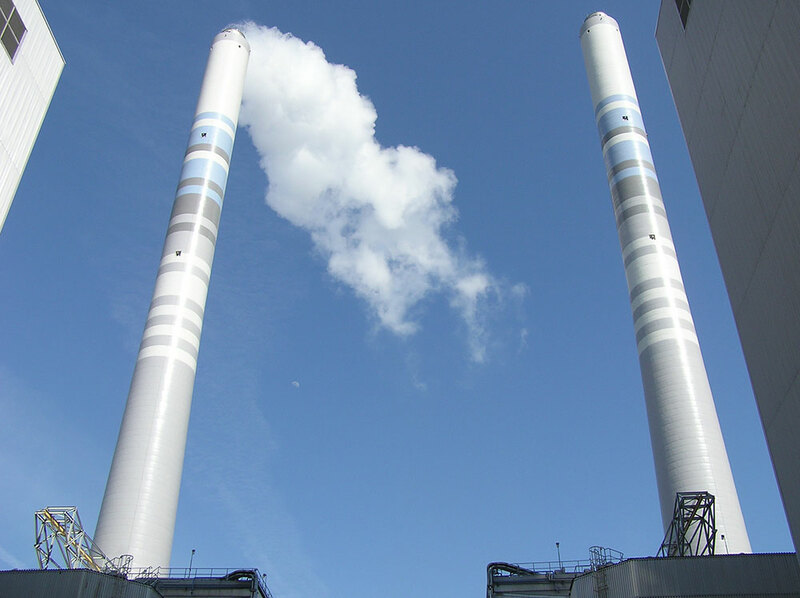 Click here to learn more on boiler system Instant UpRight supplied to the largest Power Plant in Malaysia.